Choose from the complete collection of Paramahansa Yogananda’s published works to receive knowledge of the Kriya Yoga science straight from the master. Paramahansa Yogananda founded Self-Realization Fellowship in 1920 to disseminate his teachings worldwide and to preserve their purity and integrity for generations to come. A prolific writer and lecturer from his earliest years in America, he created a renowned and voluminous body of works on the yoga science of medita­tion, the art of balanced living, and the underlying unity of all great religions. Today this unique and far-reaching spiritual legacy lives on, inspiring millions of truth seekers all over the world. In accord with the author’s express wishes, Self-Realization Fellowship has continued the ongoing task of publishing and keeping permanently in print The Complete Works of Paramahansa Yogananda. These include not only the final editions of all the books he published during his lifetime, but also many new titles — works that had remained unpublished at the time of his passing in 1952, or which had been serialized over the years in incomplete form in Self-Realization Fellowship’s magazine, as well as hundreds of profoundly inspiring lectures and informal talks recorded but not printed before his passing. Paramahansa Yogananda personally chose and trained those close disciples who have headed the Self-Realization Fellowship Publications Council since his passing, and gave them specific guidelines for the prepara­tion and publishing of his teachings. The members of the SRF Publications Council (monks and nuns who have taken lifelong vows of renunciation and selfless service) honor these guidelines as a sacred trust, in order that the universal message of this beloved world teacher will live on in its original power and authenticity. The Self-Realization Fellowship name and the SRF emblem (shown above) were originated by Paramahansa Yogananda to identify the organization he founded in 1920 to carry on his worldwide spiritual and humanitarian work. These appear on all Self-Realization Fellowship books, audio and video recordings, films, and other publications, assuring the reader that a work conveys Paramahansa Yogananda’s teachings as he himself intended they be given. The scientific techniques of meditation taught by Paramahansa Yogananda, including Kriya Yoga — as well as his guidance on all aspects of balanced spiritual living — are taught in the Self-Realization Fellowship Lessons. This comprehensive home-study series consists of thousands of pages of the great master's personal instructions to his students, organized in easy-to-absorb weekly studies. Apply for the Self-Realization Fellowship Lessons. Self-Realization Fellowship's editions of this spiritual classic are the only ones that incorporate all the author's wishes for the final text — personally conveyed by him to the editor he worked with from 1924 until his passing in 1952, and to whom he entrusted all matters pertaining to the publication of his works. 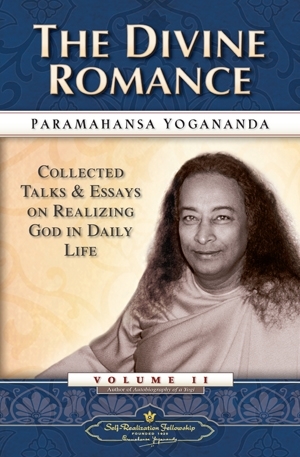 Paramahansa Yogananda's Collected Talks and Essays present in-depth discussions of the vast range of inspiring and universal truths that have captivated millions in his Autobiography of a Yogi. Volume I explores little-known and seldom-understood aspects of meditation, life after death, the nature of creation, health and healing, the unlimited powers of the mind, and the eternal quest that finds fulfillment only in God. 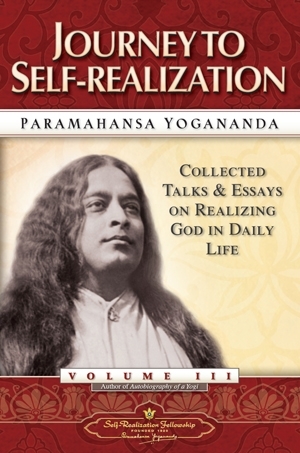 Volume II of Paramahansa Yogananda's Collected Talks and Essays. Among the wide-ranging selections: How to Cultivate Divine Love; Harmonizing Physical, Mental, and Spiritual Methods of Healing; A World Without Boundaries; Controlling Your Destiny; The Yoga Art of Overcoming Mortal Consciousness and Death; The Cosmic Lover; Finding the Joy in Life. 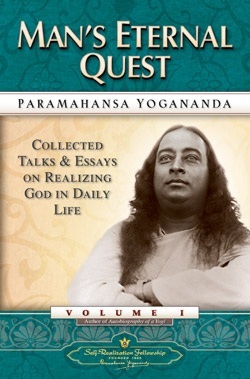 Volume III of the Collected Talks and Essays presents Sri Yogananda's unique combination of wisdom, compassion, down-to-earth guidance, and encouragement on dozens of fascinating subjects, including: Quickening Human Evolution, How to Express Everlasting Youthfulness, and Realizing God in Your Daily Life. In this unprecedented masterwork of inspiration, almost 1700 pages in length, Paramahansa Yogananda takes the reader on a profoundly enriching journey through the four Gospels. Verse by verse, he illumines the universal path to oneness with God taught by Jesus to his immediate disciples but obscured through centuries of misinterpretation: "how to become like Christ, how to resurrect the Eternal Christ within one's self." An inspired commentary that brings to light the mystical science of God-communion hidden behind the Rubaiyat's enigmatic imagery. Includes 50 original color illustrations. Winner of the 1995 Benjamin Franklin Award for best book in the field of religion. Mystical poetry by Paramahansa Yogananda — an outpouring of his direct perceptions of God in the beauties of nature, in man, in everyday experiences, and in the spiritually awakened state of samadhi meditation. 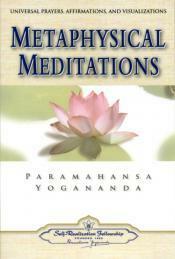 A collection of Paramahansa Yogananda's prayers and divine experiences in the elevated states of meditation. Expressed in a majestic rhythm and poetic beauty, his words reveal the inexhaustible variety of God's nature, and the infinite sweetness with which He responds to those who seek Him. Paramahansa Yogananda presents here a profound explanation of the science of affirmation. He makes clear why affirmations work, and how to use the power of word and thought not only to bring about healing but to effect desired change in every area of life. Includes a wide variety of affirmations. Compiled from the works of Paramahansa Yogananda, this inspiring devotional companion reveals ways of making prayer a daily source of love, strength, and guidance. Within every human being, Paramahansa Yogananda writes, there is one inescapable desire: to overcome suffering and attain a happiness that does not end. Explaining how it is possible to fulfill these longings, he examines the relative effectiveness of the different approaches to this goal. More than 300 spiritually uplifting meditations, prayers, and affirmations that can be used to develop greater health and vitality, creativity, self-confidence, and calmness; and to live more fully in a conscious awareness of the blissful presence of God. A compilation of selections from Paramahansa Yogananda's in-depth, critically acclaimed translation of and commentary on the Bhagavad Gita, God Talks With Arjuna, this book presents truth-seekers with an ideal introduction to the Gita's timeless and universal teachings. Contains Yogananda's complete translation of the Bhagavad Gita, presented for the first time in uninterrupted sequential form. 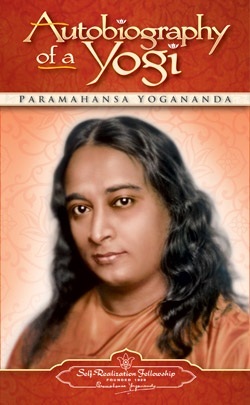 A selection of material from Paramahansa Yogananda's highly praised two-volume work, The Second Coming of Christ, this concise book confirms that Jesus, like the ancient sages and masters of the East, not only knew the principles of yoga but taught this universal science of God-realization to his disciples. Sri Yogananda shows that Jesus' message is not about sectarian divisiveness, but a unifying path by which seekers of all faith traditions can enter the kingdom of God. Gems of thought arranged by subject, compiled from the writings of Paramahansa Yogananda. A unique handbook to which readers can quickly turn for a reassuring sense of direction in times of uncertainty or crisis, or for a renewed awareness of the ever present power of God one can draw upon in daily life. A collection of sayings and wise counsel that conveys Paramahansa Yogananda's candid and loving responses to those who came to him for guidance. Recorded by a number of his close disciples, the anecdotes in this book give the reader an opportunity to share in their personal encounters with the Master. 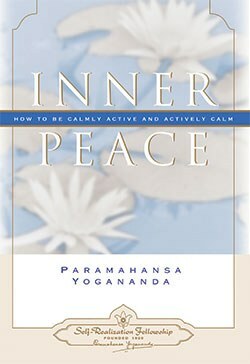 A practical and inspiring guide, compiled from the talks and writings of Paramahansa Yogananda, that demonstrates how we can be "actively calm" by creating peace through meditation, and "calmly active" — centered in the stillness and joy of our own essential nature while living a dynamic, fulfilling, and balanced life. Winner of the 2000 Benjamin Franklin Award — best book in the field of Metaphysics/Spirituality. 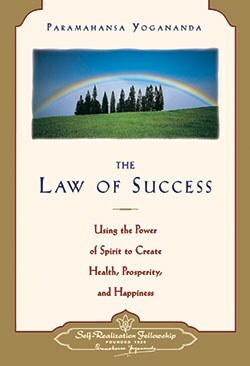 Explains dynamic principles for achieving one's goals in life, and outlines the universal laws that bring success and fulfillment — personal, professional, and spiritual. Defining God as both the transcendent, universal Spirit and the intimately personal Father, Mother, Friend, and Lover of all, Paramahansa Yogananda shows how close the Lord is to each one of us, and how He can be persuaded to "break His silence" and respond in a tangible way. Words and music to sixty songs of devotion, with an introduction explaining how spiritual chanting can lead to God-communion.